Shikanji is central India cuisine from Madhya Pradesh.Refreshing,soothing ginger drink with lemon and mint helps to beat the scorching summers . 1. Shikanji helps to balance the electrolytes in our body which are lost during perspiration in summers. 2. 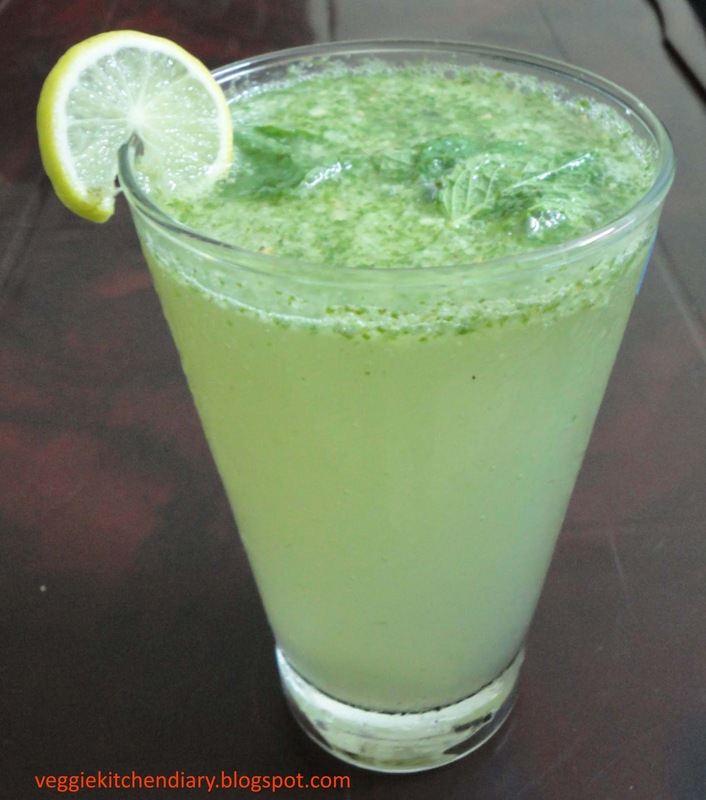 It is refreshing lemon drink with spices which act as coolant and alos improves your digestive functions. Ginger has long been used as a remedy for nausea and to aid digestion,relaxing the intestines and helping to eliminate flatulence. Ginger Mint Shikanji is a simple summer time drink recipe prepared from lime juice, sugar , ginger and fresh mint leaves. 1. Crush mint leaves, ginger and sugar. 2. Transfer this into a tall glass; add lemon juice chatmasala and soda to it.